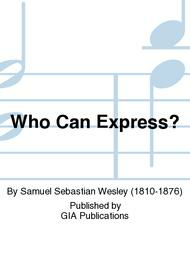 Composed by Samuel Sebastian Wesley (1810-1876). Edited by Simon Lindley. Royal School of Church Music. Sacred. Octavo. 4 pages. GIA Publications #RA264. 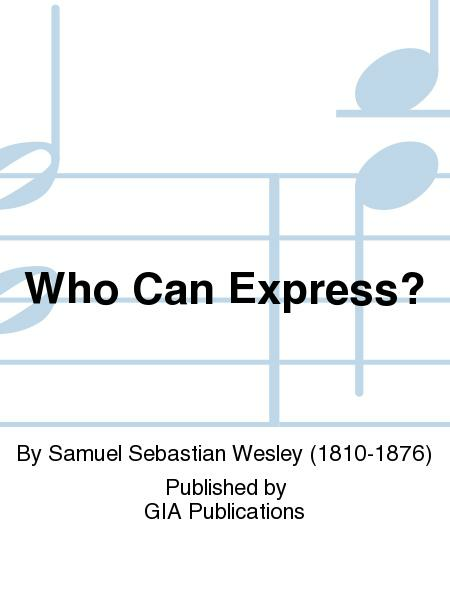 Published by GIA Publications (GI.G-RA264). English. Text source: From Psalm 106 and 86. Scripture: Psalm 106 and 86.